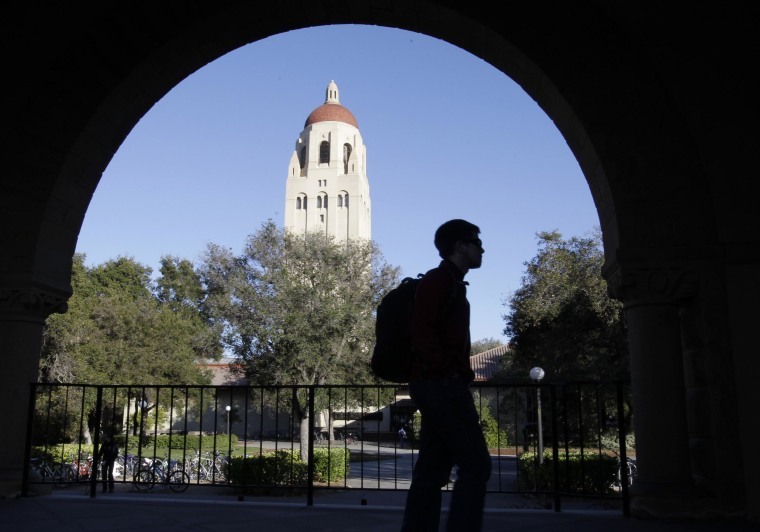 Stanford University will no longer use any of its $18.7 billion endowment to invest in coal mining companies, a move aimed at combating climate change that could influence college administrations elsewhere. The Stanford announcement Tuesday is the most significant to date from a major, well-endowed college or university in the United States amid a growing movement by students around the country to pressure their institutions to divest from fossil fuels. Amid growing pressure from students and environmentalists, a number of smaller institutions such as San Francisco State University and Hampshire College in Massachusetts have agreed recently to shed their coal holdings. Students at other colleges including Brown University and Middlebury College have also led divestment campaigns, with Steyer's support, although both rejected the bids.